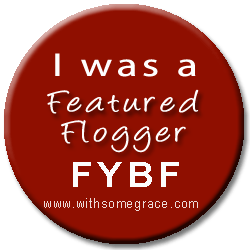 Most Friday mornings I’m up before 6am getting ready to post my weekly caught-my-eye round up on Grace’s Flog your blog Friday. Posting early is like going for a morning run. Once you’ve been out a few times you get to know a couple of the locals that are also up, you feel good when you’ve done it and it sets you up for the day. Today is different as I had leaving drinks for a job I’ve been doing for 4.5 years. All very exciting for me with a new opportunity coming along but sad to be leaving such great friends and an awesome workplace behind. I had a great time, bid some sad farewells and woke up this morning with a feeling I haven’t had in quite a while. I think I know why my dad had “head colds” on the odd Saturday morning after getting home late from work. How do you handle boozy nights? Do you even have them? Do you miss them? What’s wrong with being a good girl? This week I came across an opinion piece that put me in two minds. It’s an intelligently written article about raising girls, an activity that I am currently undertaking. The article the problem with raising good girls talks about the expectation of girls to be nice, self sacrificing and sweet where boys are expected to be competitive, physical and self serving. It then goes on to use a children’s book called the very cranky bear to show just how deeply seated this expectation is. I liked what this article said about girls being raised with limitations, something I am very aware of in how I talk and act with my daughter. What concerns me is that “being good and enabling of others” is seen as something to be traded off against “being competitive and capable of achieving your goals”. I’m trying to raise my girl to be both. It was interesting to be a part of the debate about Kochy’s comments on breast feeding this week. There can be a tendency, when a well known personality says something dumb and sensationalist, for the reported responses to be completely over the top (and equally dumb and sensationalist). Which is why it was so refreshing to read a post by Megan over at Mrs D’s about the whole controversy. Her perspective is well worth a read. It’s a shame that well thought out opinions like this didn’t get the same airplay that the more radical views on both sides did. You can follow Megan on twitter. Although I’ve already awarded this particular recipient a Caught My Eye award, my good mate Matt over at Dad Down Under deserves a mention this week for his brave, honest and touching post about dealing with his depression. In a society where guys can struggle to put the words together Matt comes out with a beautiful story about how he went about dealing with his head space by helping other people deal with theirs. Well done Matt, consider this award the blogging equivalent solid back slapping hug. This entry was posted in Caught my eye and tagged breast feeding, feminism. Bookmark the permalink. Hangovers don’t mix we’ll with early mornings do they? My first one after having the girls was a shocker! Hangovers with kids are awesome. Said no parent ever. A couple of years back, we had a bucks & hens the night before mothers day. Hubby was staying in the city, my cousin was staying with the kids. After dinner with the girls we ended up at a gay club in Kings Cross. Next thing you know I realised it was 5am, and I was supposed to be at my grandmothers by 10am, with my children, who were in the opposite direction of my grandmothers house. Cab ride home, crawled into bed, closed my eyes for TWENTY SECONDS before my son appeared in front of me. THANK GOD for my cousin who sorted the kids and allowed me 2hrs sleep before I got up & headed off to mothers day lunch! How did I handle it? Painfully. KFC. Litres of water. Won’t be doing that again any time soon. hehehe. Loved Matt’s post too by the way. And I strongly disagree with raising girls to be nice, self sacrificing and sweet. Girls should be tough. They should be smart. Ambitious. Great Rock n Roll story. I am sure I saw miss 2.5 screw her nose up when she smelt daddy’s scotch breath this morning. I agree with what you’re saying about girls being tough. I’m trying to bring up a mine to stand up for herself, go for what she wants, be able to dust herself off if/when it goes pear shaped and have the confidence to stand on her own two feet (if she wants to). I also want my daughter to have empathy, be able to see the world from another’s perspective and view kindness as a virtue, not a weakness. Oooh scotch breath! I hope you didn’t breathe on her too much, though it might have led to a good nap for her! Yeah true, but wouldn’t you teach your son the same thing? I think they’re attributes ALL people should have, and that the only way to stop gender stereotypes and gender bias is to stop assuming that girls and boys need to be raised differently. Well she did seem a bit chilled out today. Agree with you entirely. The qualities we want to raise our kids with should be the same regardless of gender. They are the qualities I want my little human being to have. Hahaha. Don’t start me singing. Really. what voice did you use inside your head for the next lyric? Michael Jackson. Always Michael Jackson. Good luck on the new job! Lots of exciting changes happening in your life, eh?